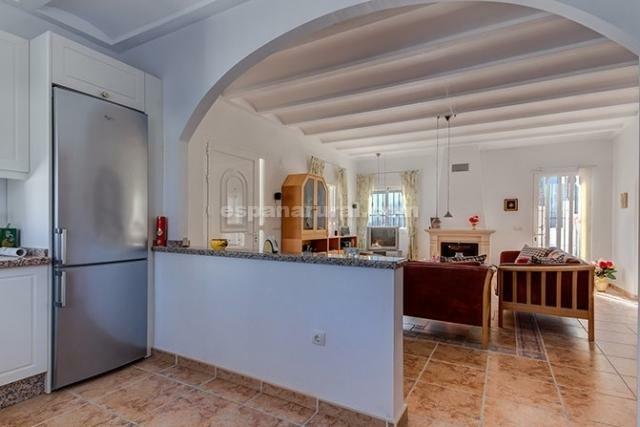 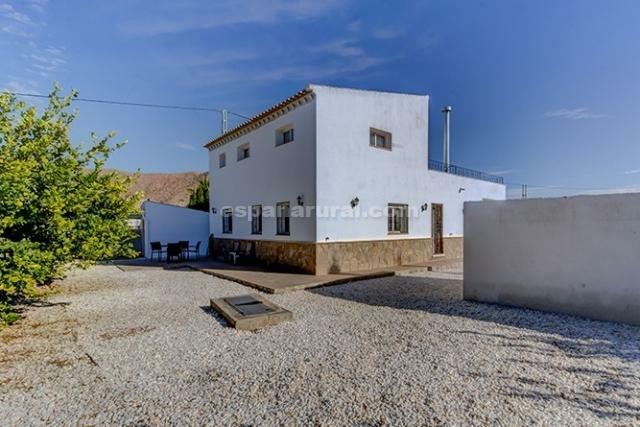 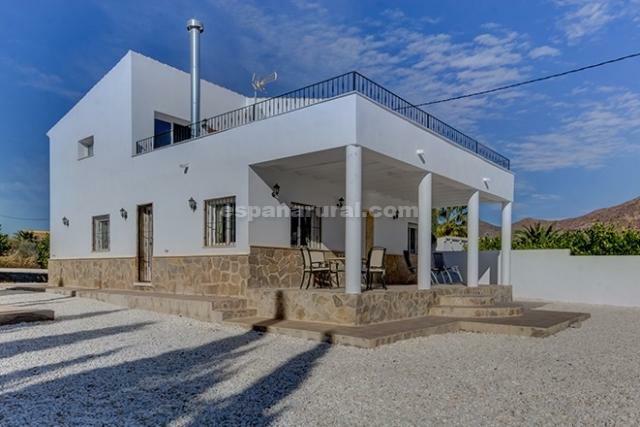 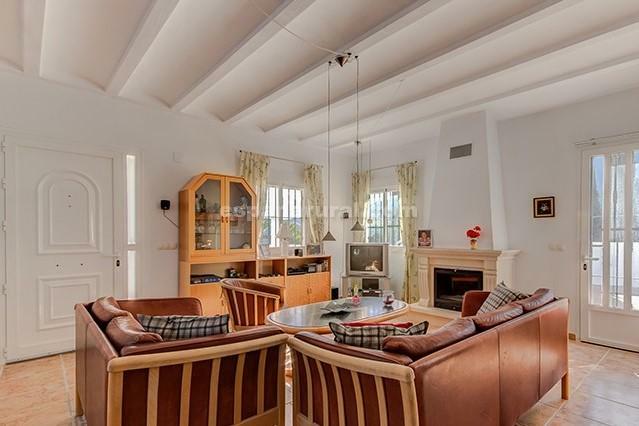 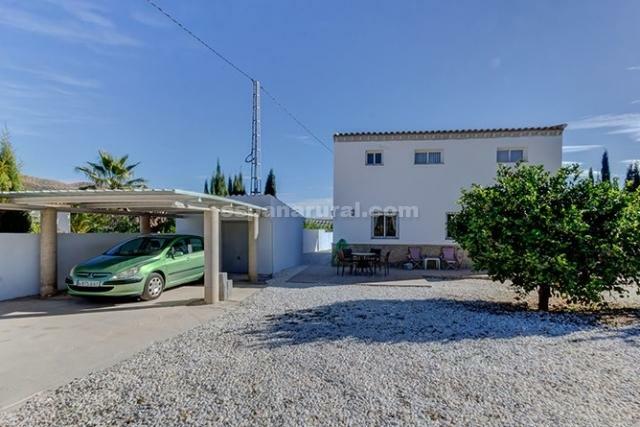 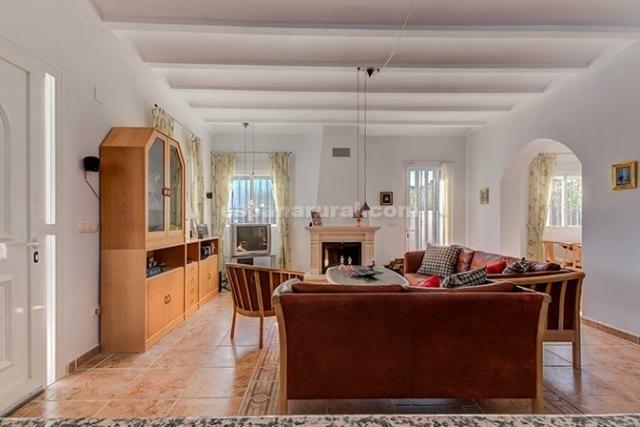 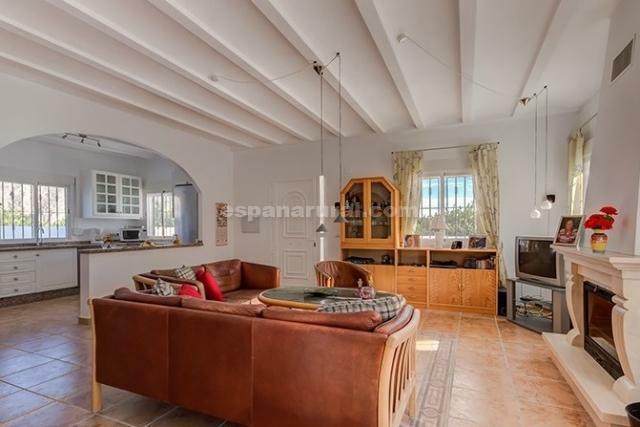 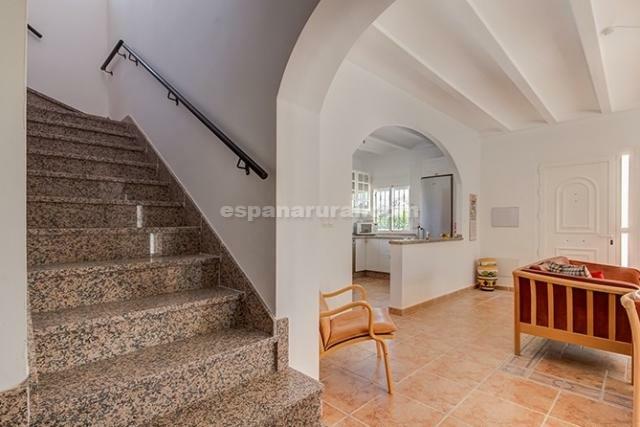 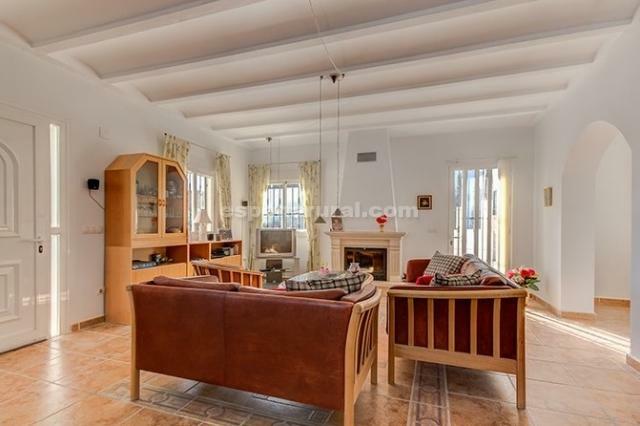 3-4 bedrooms unique style detached Villa on two floors ready to move into, situated walking distance to the Village of Almanzora where you will find amenities, this is one of the gems in Spain. 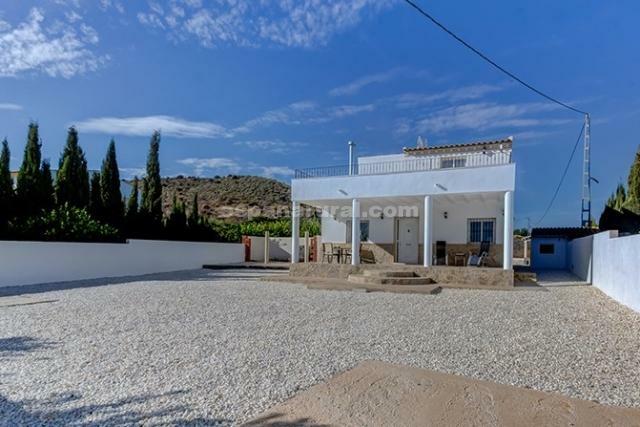 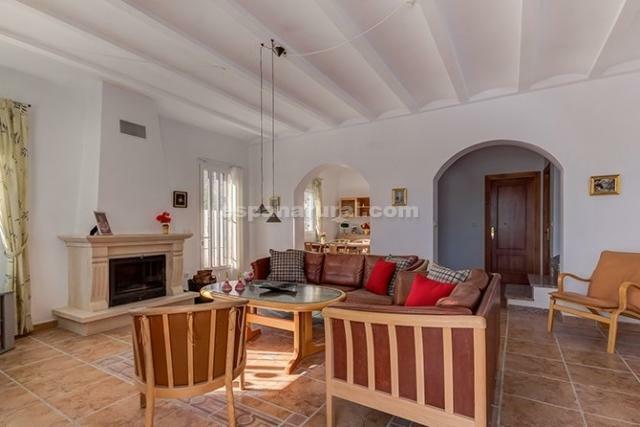 The Villa is large and spacious has a large garden area of 952m2 which is private walled and gated, has also a storage room, a very large porch facing the beautiful views of the orange and lemon groves and the mountains. 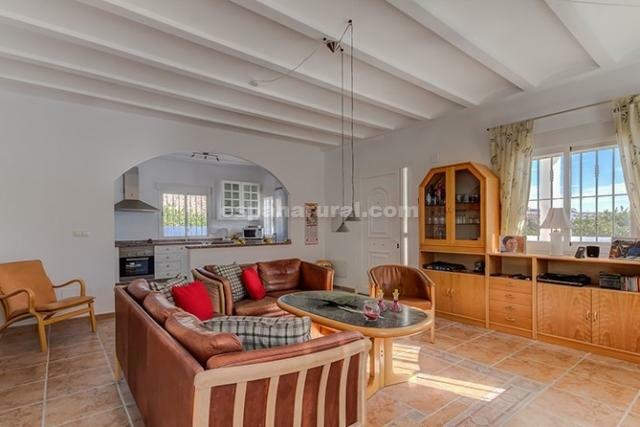 On the 1st floor you will find, a large spacious lounge/diner fitted with a fireplace, arches into an inviting dining room, there is a large fully fitted kitchen with also a pantry room, a family bathroom, a spacious double bedroom with en suite. 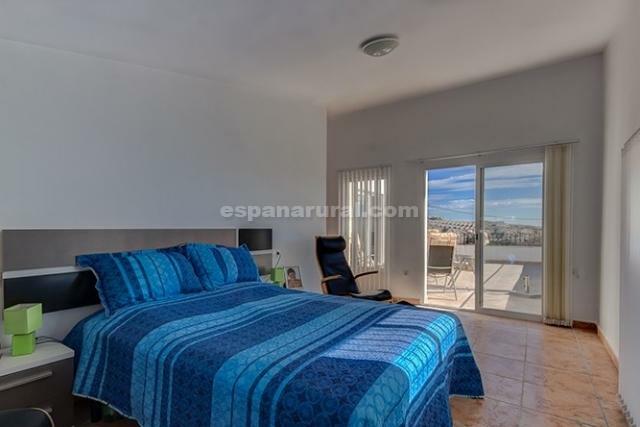 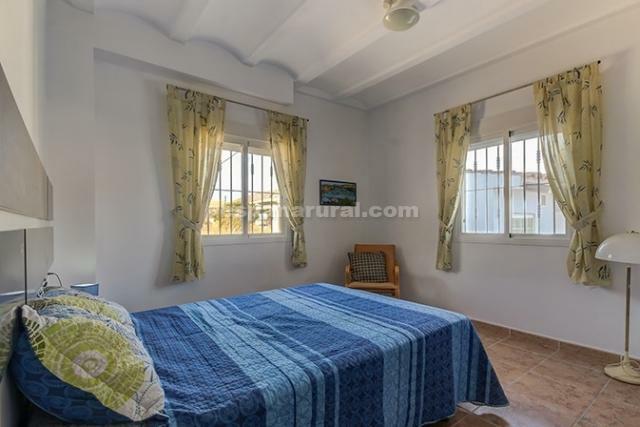 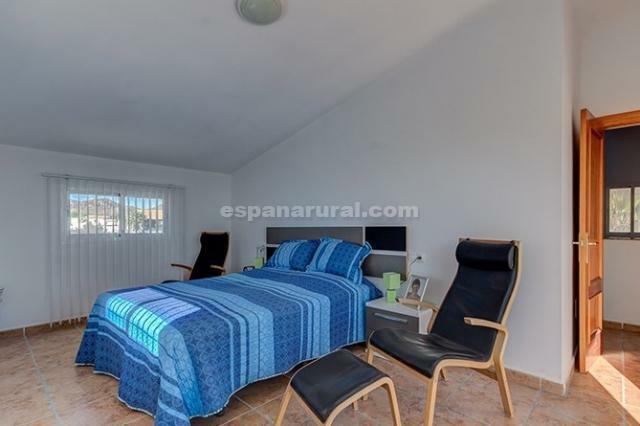 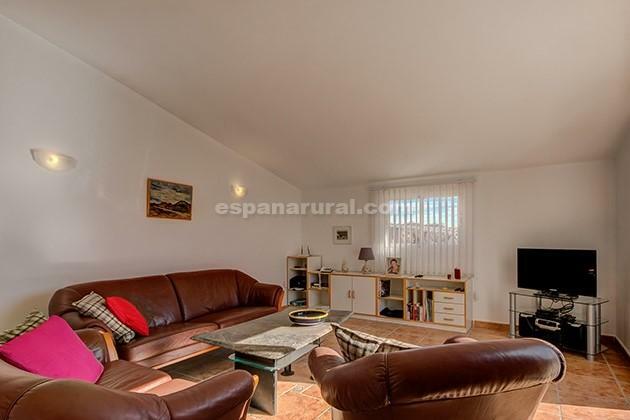 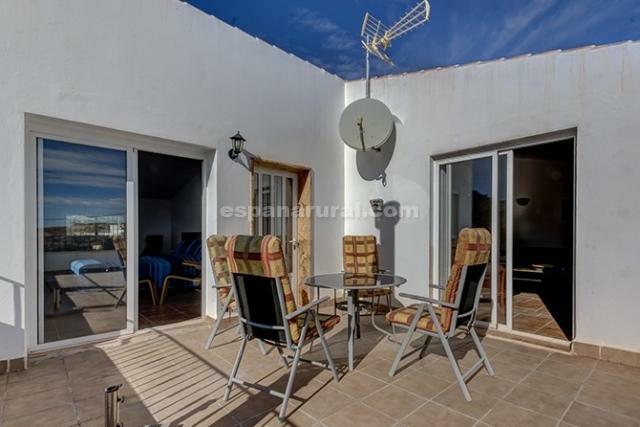 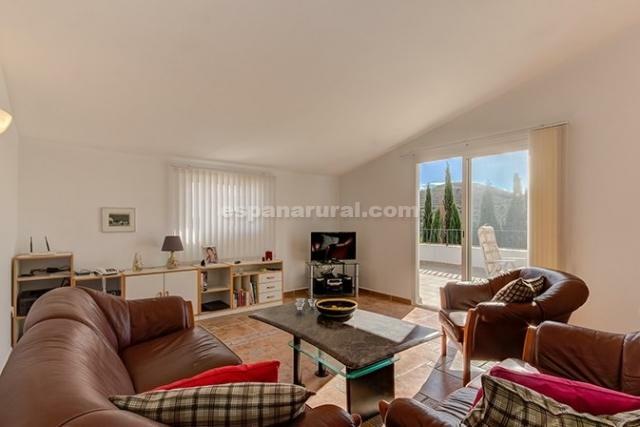 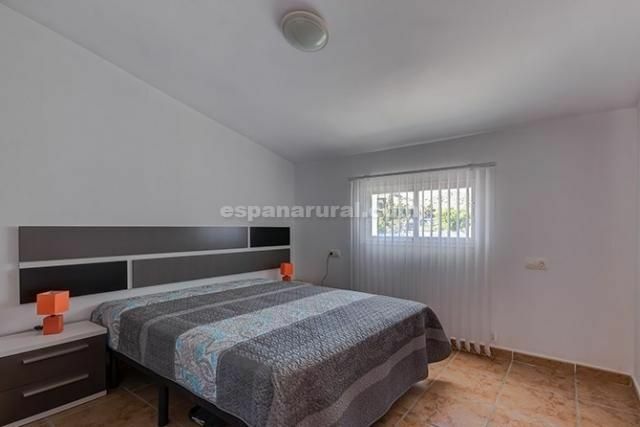 there is a bathroom, two spacious double bedrooms, and there is a large room used as a sitting room, there is room can easy be another bedroom, access to the large sun terrace where you can admire the views all around it. 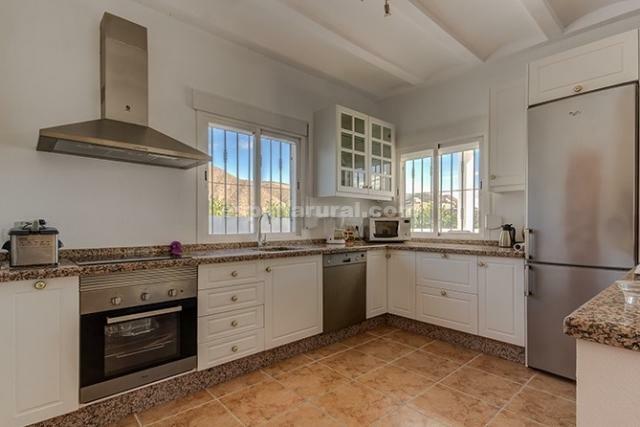 Fully fitted with double glazed windows and doors. 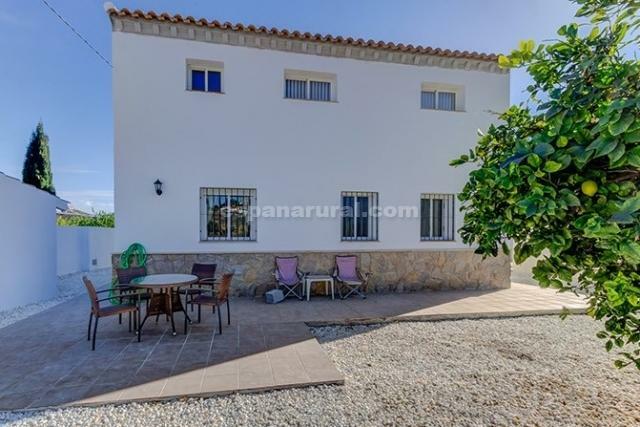 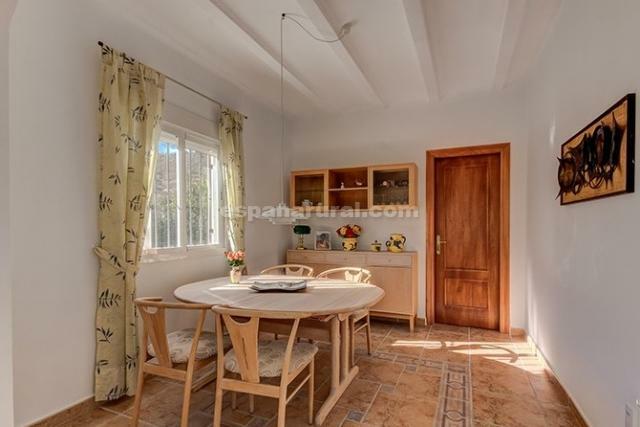 The Villa is different in an excellent location, has electricity, water internet and telephone line are connected, satellite TV connected to very room in the house. 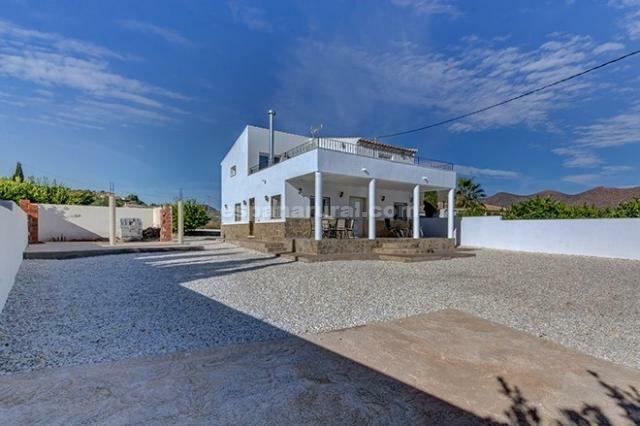 There is a good access road and parking. 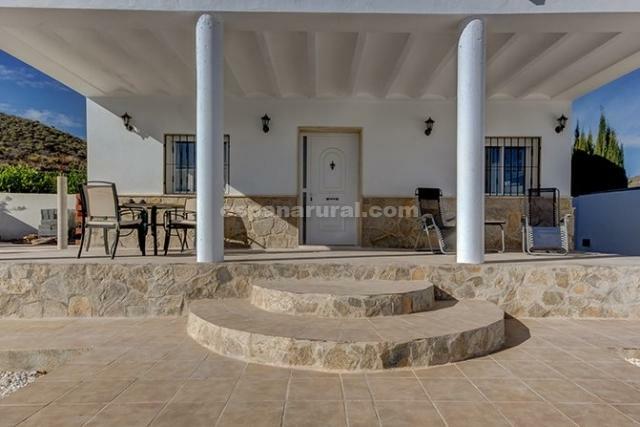 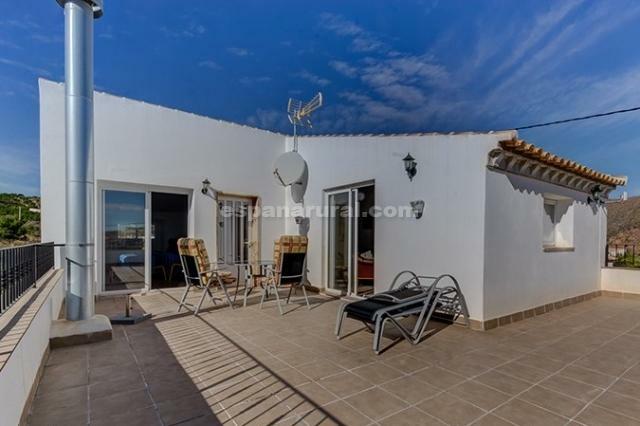 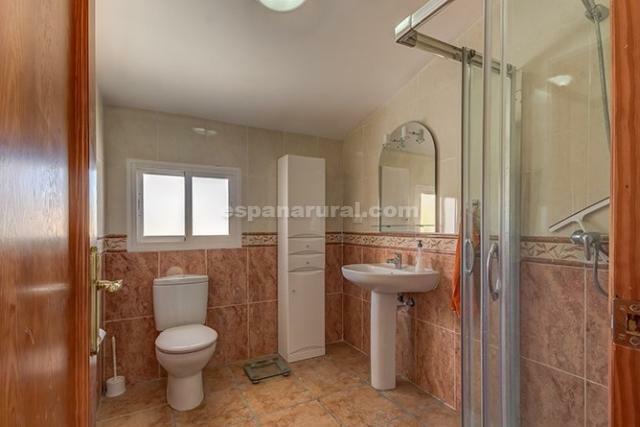 Excellent Villa for sale in Almeria. 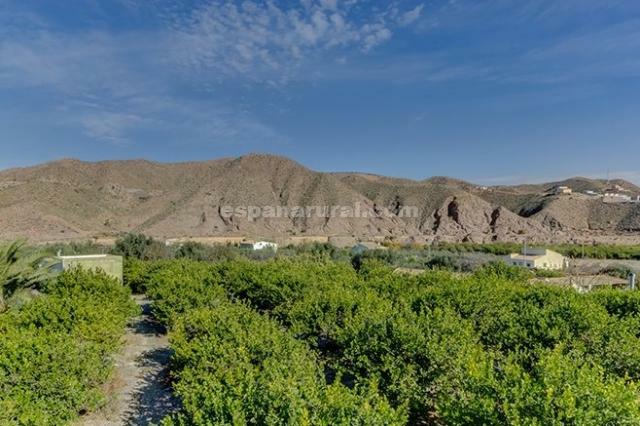 Almeria Airport is 1 hrs drive, coast 30 mins drive.